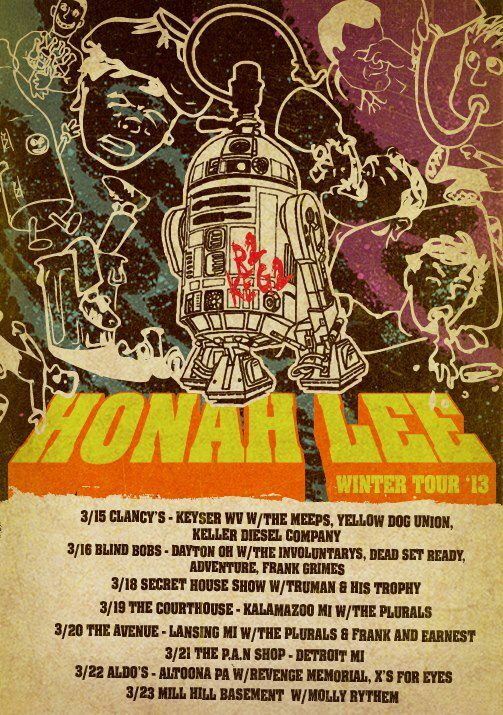 Honah Lee Spring 2013 Tour Dates! Just as the midwest winter is starting to mild out, it’s already time to get our faces melted. That there show on March 20th at the Avenue (formerly Gone Wired Cafe) in Lansing, MI is the first GTG-promoted event happening there, so anyone in the area should go check it out. $5 cover, 3 bands, Michigan craft beers a’plenty (reasonably priced too), and you’re supporting a truly local and independent business. End of pitch. Honah Lee have a lot of new material that is sounding great. They’ll be hitting the studio later this spring for a new album, so set the stokeage meter at a reasonable level cuz we’re gonna be blowing it up later this year.